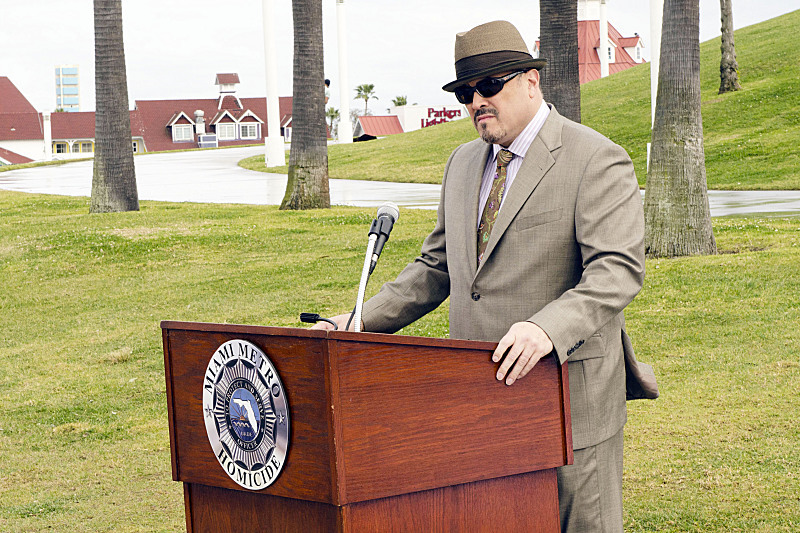 Based on one of the new photos Showtime has released for the upcoming eighth season of Dexter, we won't have to wait long to see Dexter, standing beneath a plastic canopy, hovering over his latest victim. And that's just one glimpse of the new season. 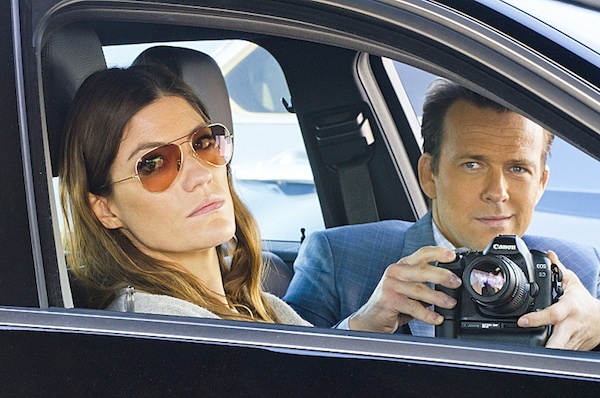 Showtime posted a number of photos from the first few episodes. 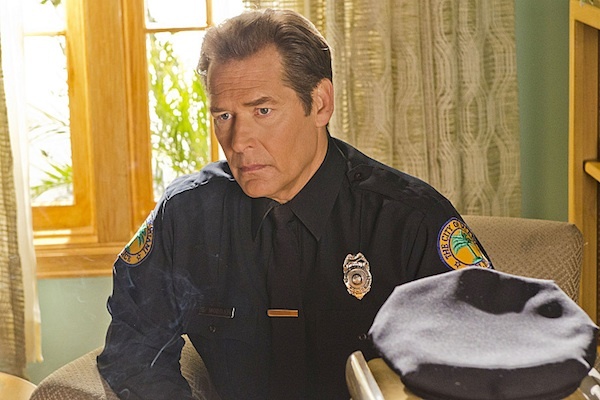 One of the Season 8 spoilers we learned yesterday was that, Charlotte Rampling's psychiatrist/profiler character Dr. Vogel helped Harry write the "Code" that Dexter lives (and kills) by. Here's a shot of Dexter pinning Dr. Vogel against the wall, with his mad-face on. The spoiler about Dr. Vogel included that she's looking to Dexter to help her out with a serial killer that's stalking her. I wonder if she's mentioned that part to him by this point, or if he's upset over something else. Either way, he doesn't seem happy to see her in this photo. We may be getting some additional back-story on Harry and Vogel's relationship in the second episode. One of the Ep. 2 photos shows Harry in his police uniform, which indicates that this could be flashback-Harry and not Dexter's hallucination-Harry. We also learned that, in the months since she killed LaGuerta, Deb quit Miami Metro and has been working for a private detective. Here she is with Sean Patrick Flanery's character Jacob Elroy in Episode 3 of Season 8. 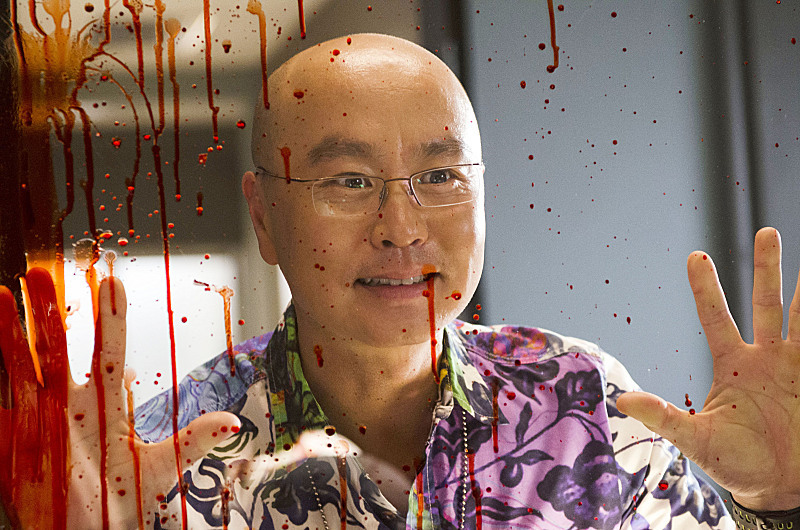 And here's a look at Masuka behind some blood-spattered glass. The window to Dexter's spatter room? Or is Masuka being his usual inappropriately goofy self at some murder scene? I like that there's a little blood dripping right near his mouth. 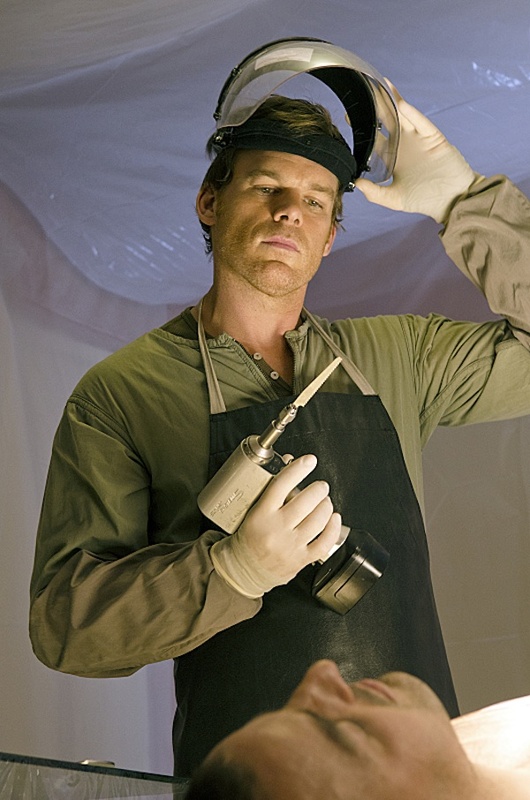 Check out more Dexter Season 8 photos in the gallery below! Dexter premieres Sunday, June 30 at 9:00 p.m. ET on Showtime.